Find out where to look for Power Armor and how to claim your first suit in Fallout 76. 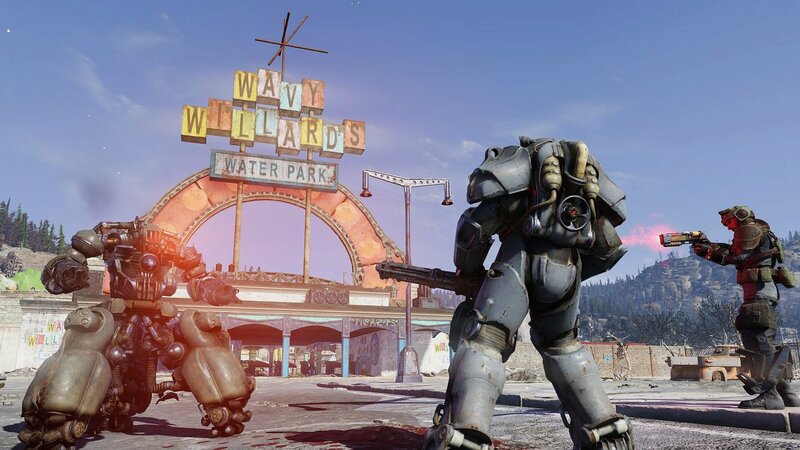 In Fallout 76, one of the first question players ask is where to get a suit of Power Armor. As with most things in Fallout 76, you can discover Power Armor while exploring the irradiated hills of West Virginia. Many Power Armor suits you find appear as basic frames, ones which you have to craft and build upon in order to make viable. If you’ve been unlucky in your searches and are wondering where to find your first suit of Power Armor, we’ve got you covered. Below, we’ve put together a quick guide on where to get Power Armor in Fallout 76! Power Armor spawns at random in Fallout 76. As stated above, by exploring the wastelands in Fallout 76, you’ll eventually stumble across a piece of Power Armor (typically in the form of a base frame). After familiarizing yourself with the crafting process of gathering items and then scrapping them for materials, you’ll be able to improve upon any Power Armor you find. As for “where” to find Power Armor, this may seem like a bit of a no-brainer, but the best place to search for Power Armor are at yellow Power Armor Stations. We found our first Power Armor near standing near one of these Power Armor Stations just outside the Morgantown Train Station area. Other locations where you can find Power Armor include the Morgantown Warehouse, Watoga, and Pleasant Valley Cabins. To claim a Power Armor, simply walk behind the Power Armor, then interact with it to enter the frame. If you’re unable to enter the frame, there are two possible reasons that need to be addressed. First, you cannot enter Power Armor that’s already been claimed by another player. This is useful information for you as well, as you won’t have to worry about someone walking away with your Power Armor if you step out of it. Second, the Power Armor has a level requirement above your current character level. In order to claim Power Armor, you’ll want to continue leveling up your character by completing Quests and fighting enemies. You cannot enter Power Armor that's already been claimed by another player in Fallout 76. Note that just because you can’t enter a Power Armor doesn’t mean you can’t “claim” it. For example, we stumbled across some Power Armor but were unable to enter it with our Level 5 character. Fortunately, we were able to use the Transfer option to store each individual part into our inventory for safe keeping. Then, we interacted with the Power Armor again as a base frame and were able to claim it. If you discover a base frame but want a chance at finding complete Power Armor, you can raid Military Bunkers and installations. Before you do this, it’s a good idea to come prepared with weapons and ammo as these areas are often full of enemies. If you find a Military Bunker that has Power Armor but are unprepared to deal with the enemies, you can always return to a safer area and stock up on supplies. Then, when you’re ready, open your map and select the Military Bunker. In exchange for Caps, you'll be able to instantly Fast Travel any location you've previously discovered. Keep in mind that Power Armor spawns are random, and with other players exploring the same world and claiming Power Armor at similar locations, you’ll likely have to return to areas you know spawn Power Armor. Even if someone picks up a suit of Power Armor at a particular location, that doesn’t mean Power Armor will never spawn there again. If you revisit the location, there’s a chance the Power Armor will respawn so that you can claim it. Plus, those locations can also house items like Fusion Cores which are needed to make Power Armor work in the first place. Collect any Fusion Cores you find, even if you don’t have a suit of Power Armor yet. These Fusion Cores can be quite rare, and as such, should be conserved. To conserve your Fusion Cores, only enter and use your Power Armor when you need it. By walking around in Power Armor, your equipped Fusion Core will slowly drain. Once it’s empty, you’ll need to replace it with a full one in order to use your Power Armor again. There are ways to craft Fusion Cores in Fallout 76, but due to their rarity, the crafting materials can be hard to come by. Check back, as we’ll be posting other Fallout 76 guides that touch upon how to craft Fusion Cores, and where to find rare crafting materials. Until then, were you able to find a suit of Power Armor in Fallout 76? Let us know down in the comments below! 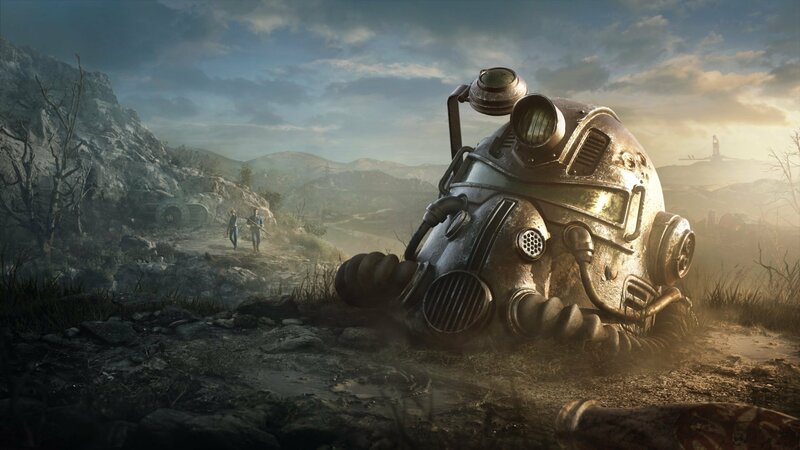 For more on Fallout 76, be sure to check out some of our previous guides including how to Fast Travel in Fallout 76, where to find Bobby Pins in Fallout 76, and how to access your Flashlight in Fallout 76. By reading through this guide, you should now know where to find Power Armor and how to claim it in Fallout 76.